Sit with your eyes closed and breathe in and out deeply for a minimum of 10 seconds. This is easy to do anywhere and lower your stress levels. Stretching tense areas of your body such as your neck, back, jaw, arms and legs can be quick, easy and ease stress in a matter of seconds. Have a favorite funny movie that you love, turn it on and laugh away. Laughter can be a great stress reducer. Hashing it out with a punching bag or wearing yourself out on a treadmill is a great way to relieve stress but for those of us who hate exercising, even a low impact exercise can cause an endorphin rush and cut down on stress. Try even a water aerobics class, yoga or something more fun like Zumba. Getting a massage can help alleviate physical pain but also may help on fighting stress. You can go to a professional or even simply massage yourself. Napping can aid in stress relief. This is a hard one for the holidays. Comes up with a game plan of how to tackle the holiday debt and come up with a plan for the following holidays. Taking a head on approach to next year’s situation can help with stress. Pets are a great way to help alleviate stress. Spend a few minutes just sitting petting and playing with them can ease stress. Writing can help you relieve stress, solve problems and vent without hurting anyone’s feelings. 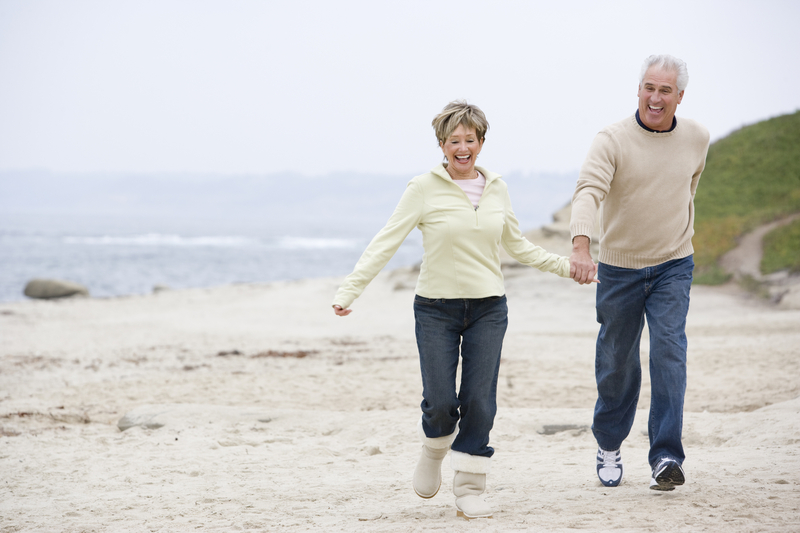 Though this falls under exercise, taking a walk is a great way to meditate and relieve stress easily. Although this is not always easy, when most stressed, try eating a healthy meal. Happy thoughts lead to happy people. Find the silver lining in every situation and it will instantly reduce your natural stress levels. Many of us don’t get enough sleep. A good 8 hours of sleep is helpful, getting too much sleep or not enough sleep can cause stress. Some of our current stresses are based on social media and technology. Unplug and disconnect from the outside world and take a few minutes or hours to focus on what is right in front of you. Do you have music that soothes you? Listen to it. Reach out to a friend who is good for you (positive person who lifts you up). Have lunch with them, sit down and talk. If you aren’t able to meet in person, call them in a place where your distractions will be few and you can enjoy your time with them as much as possible. Life can be overwhelming and add to stress. Guess what? We all have too many things to do and not enough time to do them. Write a list of what needs to get done and by priority. Focus on one thing at a time from start to finish. By itemizing tasks, these tasks seem a lot smaller and can reduce your stress drastically. It’s easy to worry about the same thing over and over. Try to only worry about something once by dealing with the issue and moving on. Something so hard for us to do but this can be so helpful for relieving stress. Talking to yourself in a positive light, can be so stress relieving. In fact, write a list of things you like about yourself and your goals, read them daily. This can help in so many ways. Calming scents such as lavender can be relaxing. Light a candle. A simple warm bath can ease pain, tension in muscles, give you some time alone and some peace of mind. Consider using Epsom salt for additional muscle relief. I hope these tips helps you relieve stress from your holiday. Thomas Day is the Director of the National Care Planning Council (NCPC). Many of you may not know that Tom suffers from an immune demylinating neuropathy — called an anti-MAG neuropathy — which makes it difficult for him to walk and affects the use of his hands. During a discussion, he and I talked briefly about his desires to be more mobile and efficient without requiring extra assistance from his family. For example, Tom cannot drive himself around. His hands shake and slight muscle weakness in his extremities slow his reflexes. In many cases, Tom is at the mercy of the family’s schedule to get around town. This conversation prompted Tom to mention several helpful items that he uses each day to help him function at home and at work. Below are brief descriptions about these items as well as a few additional ideas Tom and others like him can use to maintain their independence and to help ease the burdens their families sometimes bear. Dragon is software you can use on your computer, additional it’s also an app you can download on the Google Play or iTunes store that types out text you verbalize. This makes typing an email or thought a breeze. This can make online ordering of items easier as well as communication with caregivers and family members easier. I use dragon to write long drawn out thoughts or emails, dragon understands better than some voice activated software that I have used. Many smart phones have made it so easy to type, order, and apply commands by having the voice activated ability. This means even those who don’t have mobility issues and are just technologically ignorant can easily learn to operate a smart phone. I use Siri that comes with my iphone to quickly look up addresses or phone numbers while I’m driving, to dial phone numbers, check weather and what not. The system is not perfect and I often find that it cannot understand what I am saying even though I do not have an accent. Two great applications you can use on your smart phone or tablet to request a ride to and from. This is a personal taxis service that is done entirely through the app including payment. A great feature of these apps is you can see how much it will cost you to get a lift before you confirm. These services may not be available in all states depending on the laws in your area. Most larger chain restaurants and even some smaller ones who offer food delivery, offering food ordering through apps. I use apps such as Pizza Hut and Jimmy Johns to order food without having to be on hold. It also stores my credit card information for future use so I don’t have to type it over and over or give it to someone over the phone. I can also pay in cash if I wish to. Grocery stores often offer a delivery service or an ordering service were you can order then pick up the items so you don’t have to wonder through the store. Sam’s club offers this service online, contact your local store for additional services they may offer those with mobility issues. There are errand service companies who can help you get certain things done you need done without having to leave the comfort of your own home. You’ll have to search for these online or grab a phone book. Pricing varies depending on company and what you need done. Tom has found a few of these things useful, though he doesn’t use all of them just yet, he may include many of them into his life. Technology is continually growing and is an amazing thing, don’t be scared to learn something new, it may help you more than you think.